The trouble with having a spirit level in the van means that even on so called level pitches they are usually slightly out. I find that having a 25mm piece of ply which i can easily store in the door pocket usually does the trick to level it perfectly. Yes a bit OTT!! 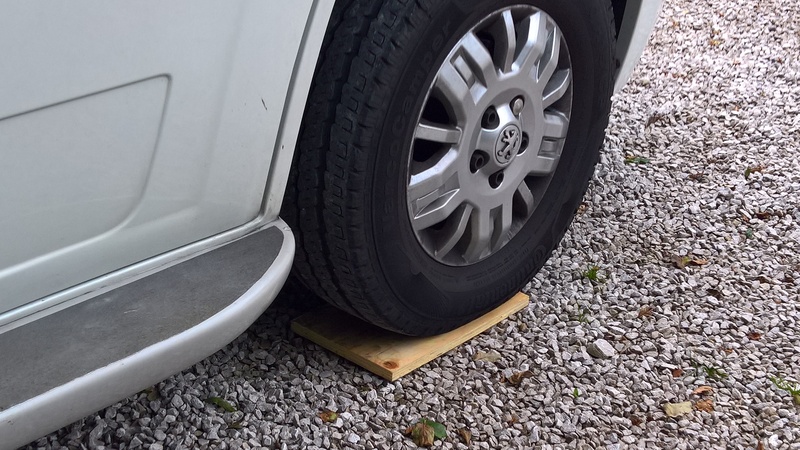 Also useful as a bit of extra padding under your normal ramps to give a bit of extra height.